Now that the Galaxy S9 has been on shelves for a couple of months, many people are starting to turn their attention to the Galaxy Note 9. And now we may know when we’ll get to officially meet Samsung’s next big thing. Samsung is planning to announce the Galaxy Note 9 on August 9th. That’s according to sources speaking to Bloomberg, who add that the Note 9 could launch as early as the end of August. T-Mobile has sold many Samsung flagships in the past, including Note phones, so it seems likely that it’ll carry the Note 9 whenever it does end up launching. 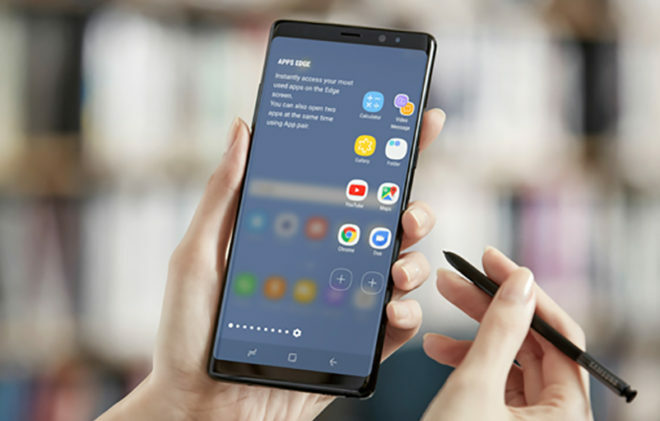 To compare, the Note 8 was announced in late August and was launched in mid-September of 2017. The Galaxy Note 9 is expected to look similar to the Note 8 but feature a newer Qualcomm processor, possibly the Snapdragon 845. It’s also said that Samsung will include upgraded cameras into the next Note phone. Some folks may be disappointed to hear that the Note 9 could look like the Note 8 but with upgraded internals. Such a move wouldn’t be a huge shock, though, because that’s pretty much what Samsung did with the Galaxy S9 that launched last year. The good news is that the Note 8 is a pretty good-looking device, so if Samsung adds in a Snapdragon 845 and improves camera performance, the Note 9 ought to be another solid device for fans of the S Pen. Are you looking forward to the Galaxy Note 9? What do you want to see from the next Note? With the price of the Note 8 I am not looking to upgrade. That is just me though so I guess I’ll use it until I can’t anymore. My Note 8 works perfectly fine so I don’t have a need to spend another small fortune. It is always nice to see what is coming out though. The Note 9 will more than likely support band 71. That would be one good reason to upgrade if you’re lacking service in your area. I will most likely not upgrade until Note 11. Before I got the Note 8 last Oct, I had a S6 Edge which was still awesome at the time. This phones are becoming way too expensive. I have a OnePlus 5T that has everything that LG, and Samsung does except the entrusive UI’S the screen, and the S. Pen in this case for for less than 700 bucks. I’ve had those on and I have to say, Samsung just does it better. Unless they make major major changes, I’ll keep my Note 8. Cost too much money to keep buying the twin to the one I already have. I would like to see a 6.5 screen at some point though on a future model; then I’ll make a move. Is it going to have stereo speakers and two lens? Half price of the Note 8, use it until they release Note 10. I’ll be keeping my Moto X4. Once you go with stock Android it’s hard to go back to cartoon town. Samsung should drop the Note line and concentrate on the S instead. There is no pt in releasing 2 flagship phones in the same year. I see no reason thus far to get the Note 9. My Note 8 is serving me fine. On the other hand, T-Mo, needs to work on their network.